I understand that American don’t like football (soccer). I also know this is changing, as soccer becomes more popular through the US Women’s National Team and the Men’s National Team. As well as the importing of over-the-hill professional top tier footballers from other countries a-la David Beckham, David Villa, Thierry Henry, Frank Lampard, Robbie Keane et al. But let’s take this most recent controversy over who is the Best Footballer in the World, or Best Footballer of All Time. 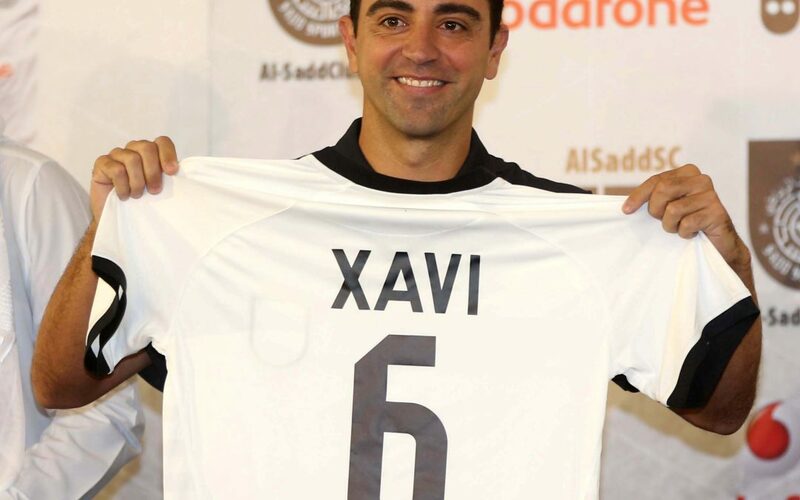 It started in Qatar (which isn’t really a footballing nation) and their biggest import, Xavi Hernandez, formerly of Barcelona and Spain. Here is the interview that kicked off this insult festival. Now, when you get to the question, “What are the differences between Messi and Ronaldo?” you will see why the offended party reacted so poorly. Instead of just saying that Lionel Messi is a good friend, an awesome footballer with great technical skill and vision. Someone who can dictate tempo in the final third, and has a set of wicked shooting boots, compared to someone who is extremely athletic and one of the best finishers in the game, who can also provide assists for his team, Xavi goes over the edge to say that Messi is better. The opinion in of itself isn’t unjust. 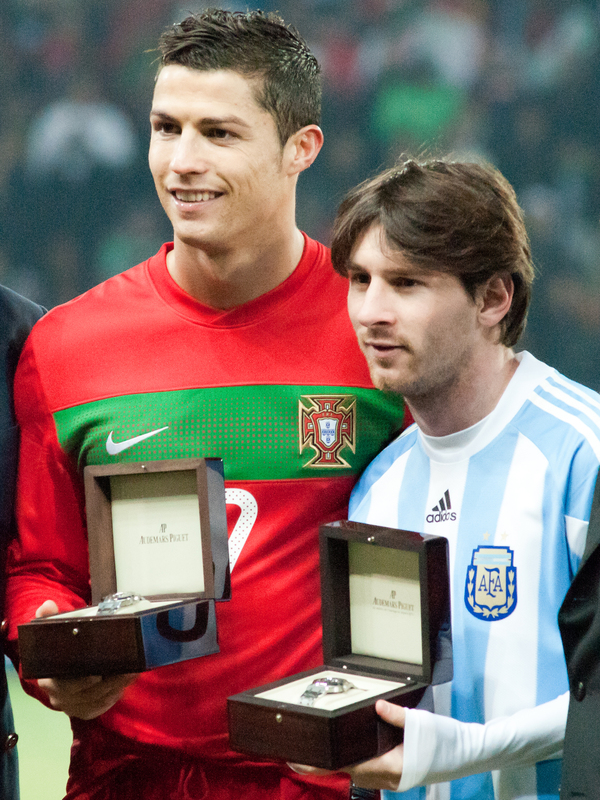 Half the world believes that Cristiano Ronaldo is better, and half believes that Lionel Messi is better. It’s how the claim is phrased. Follow up with Ronaldo’s response to Xavi where he points out the lack of individual lack of awards he has won, and you will see how this has impacted him. Now, I personally am in favor of Ronaldo. I don’t believe that he has the same level of skill as Messi in terms of passing range, but he does have better athleticism, and has a higher goal count per duration playing in La Liga than Messi. He also has played in the EPL, which contrary to what others might think, is far more physical than the Spanish leagues. As added consideration, because he is taller, he has a much better ratio of scoring with his head, as well as both feet than Messi. For pure athletics, that is my opinion, but you are free to find the points about whomever that makes you think anyone else is the best. So, the whole issue kicks on with this most recent interview. You can read ESPN’s report too. It’s one thing to have a favorite and to promote that view. It’s absolutely another to denigrate others because you dislike them, dislike the teams they play for, or are just nasty like that. Cristiano is well within his rights to refute and retort back at Xavi’s claims, as speaking as someone who “loves” football, I think Cristiano is better and do not see the merit in such a blanket statement. If we are going to talk about best of all time, then it has got to be Dennis Law, for me. The Scot could play and play hard. See how I did that? If by some chance Xavi sees this article, then maybe he can learn how to answer a question without dragging insults into it, like, Dennis Law the best of all time because Diego Maradona is a coke-head and can’t keep his tongue in his mouth. (Apologies to Diego Maradona, but I hope you appreciate the point I was making). Marketing fan favorites is something that will go on forever, as other develop their own opinions. So, who is the best in the world, currently? And who is the best of all time? Rationalize, don’t insult.